In the years prior to the founding of the city of Trondheim in 997 by King Olav Tryggvason, Munkholmen had been used as an execution site by the Jarls of Lade. The arrival of Olav Tryggvason to Norway in 995 coincided with a revolt against Haakon Sigurdsson, who was killed by Tormod Kark. The severed heads of both Haakon and Kark were placed on stakes on Munkholmen facing out into the fjord to serve as a warning to visitors. The tradition of displaying the severed heads of criminals and political opponents was continued for some time, but the heads were now placed so that they faced the city of Trondheim to deter its citizens from committing crimes. 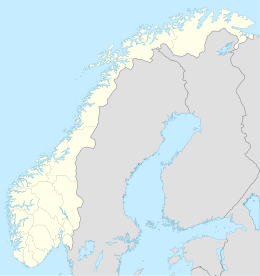 The term Munkholmen was not originally in common usage. Rather, the site was known as the location of the monastery at Nidarholm. In the early 12th century, and possibly even earlier, Benedictine monks lived on the island in Nidarholm Abbey. The monastery burned down three times during the Middle Ages, the last time in 1531. By the time that Lutheran Protestantism came to Trondheim, the buildings had fallen into decay and the former monastery came under the ownership of the royal estate in Trondheim. The monastery buildings disappeared during the 17th century as Munkholmen was fortified. Construction of a fort on the island began in 1658 following the Swedish siege of Trondheim during the Dano-Swedish War in 1658-1660. When it was completed in 1661, the fort was also used as a state prison for society's rejects. Count Peder Griffenfeld, Munkholmen's most famous prisoner, was transferred from the fortress of Copenhagen in 1671. Griffenfeld was kept at Munkholmen for 18 years, after which he was released, having contracted a terminal illness. From 1700 to 1704, the commander of the fort was Major Curt Christoph von Koppelow. The fort remained in operation until 1893. ^ "Munkholmen". trondheim.com. Retrieved 2017-06-01. ^ "Munkholmens historie". munkholmen.no. Retrieved 2017-06-01. ^ a b c d e Trondheim: The Historical Capital of Norway. Translated by Clark, Magnus. Trøndersk Forlag AS. ISBN 9788292305010. ^ Rosvold, Knut A., ed. (2012-06-02). "Munkholmen". Store norske leksikon (in Norwegian). Kunnskapsforlaget. Retrieved 2018-03-18. ^ "Nidarholm kloster i Trondheim" (in Norwegian). Den Katolske Kirke. Retrieved 2017-06-01. ^ Rian, Øystein, ed. (2009-02-13). "Peter Griffenfeld". Norsk biografisk leksikon (in Norwegian). Kunnskapsforlaget. Retrieved 2018-03-18. Wikimedia Commons has media related to Munkholmen, Trondheim. This page was last edited on 19 November 2018, at 20:02 (UTC).